Our girls took to the low ropes course today and supported each other in their activities. Tuesday was another great day around camp that had our campers tackling new adventures and making great camp memories! Competition was fierce on the Tennis Courts! Our early risers were in luck…the fish were out at Camp Kivita! Working together as a group to accomplish a goal! Good team work campers! Great day for a sing along lunch!!! The girls got a science class at camp today! 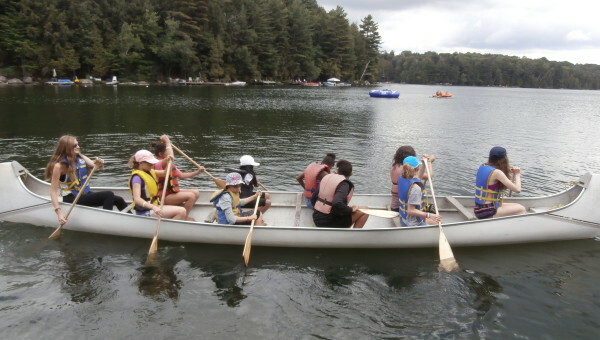 Some of our girls taking on the lake in canoes!